Let’s be honest…we all love a good story. If we didn’t JK Rowling might still be a researcher and Stephen King could yet be working as a janitor. Given how stories are so popular it isn’t surprising that many successful businesses use storytelling to enhance their branding. The question is how can storytelling be used effectively to help your branding, either as an individual business person or as a company? The first element of storytelling is that it stirs up emotions within people, and the range of possible emotions is very wide. This is a fine line that must be trodden carefully, as there are some emotions you definitely do not want to evoke such as anger, envy or even hatred. So, whatever stories you plan to tell as part of your branding exercise, make sure they cannot possibly be misconstrued or interpreted in such a way that might invoke a negative emotion. Ideally, you want to create stories that are interesting, but also allow for anyone hearing or reading them to create a connection to them. The best way to do this is for the story to contain situations or scenarios which most people can relate to or at least have some recognition of. One story you could tell is one about your struggle to achieve some goal or ambition. This is something most people have experienced in their lives. By recalling how starting your business meant having to overcome several hurdles and obstacles along the way, is a situation most people will relate to. This is perfect if part of your brand is about how much you appreciate your customers and the part they have played in the growth of your business. Not only does this encapsulate your branding it also generates a terrific level of customer loyalty. Another sort of story people love to hear is one which makes them laugh. It is certainly the case that humour goes a long way to fixing a brand in people’s minds. Try to think of any adverts from the past and it is almost certain that the funny ones come to mind before any of the more mundane ones. Try to think of any events, mishaps or stories relating to your business which bring a smile to your face when you recall them. Turn them into a story you can tell your customers, visitors to your website, or readers of your blog. 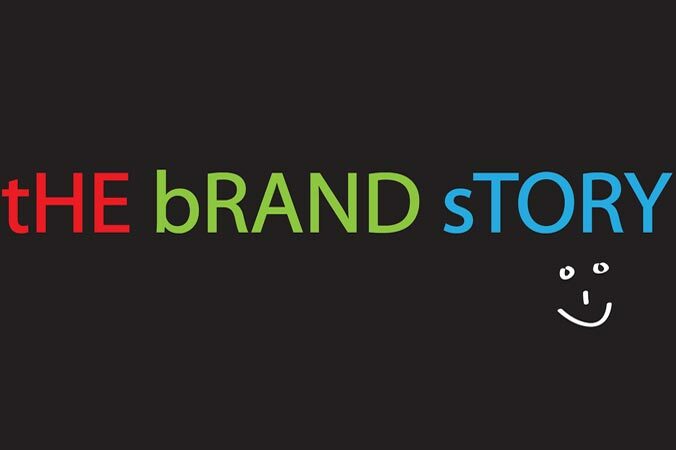 The other way to use storytelling is in defining what you, your business and your brand stand for. This could be in relation to an important business decision, an interaction with another company or even an issue you resolved for a customer. Outline the events leading up to the point where your business principles and beliefs may have been tested but by sticking to them and doing the right thing the outcome was positive for both you and your customers. This sort of story can reassure customers that they are dealing with a brand that has high standards especially in relation to customer care. If your customers know that this is what your brand stands for in terms of looking after them, then the more stories you can tell them that cements this thought in their mind, the better.